The Phoenicians brought Aglianico to Italy from Greece and mainly from Eubea, several centuries BC This "Ancient Vine" produced a wine praised by Pope Paul III. 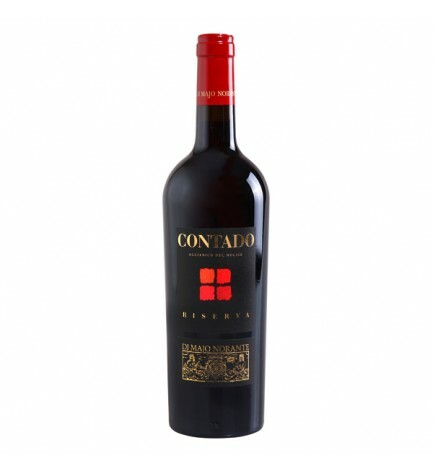 The wine has a ruby red color with a slight hint of orange, vinous, broad and intense with hints of ripe fruit. Soft and velvety, it is very harmonious, full-bodied tannic, with hints of almonds. It goes well with savory foods, pasta, game, meat and cheese. Type of soil: clay - sand. Average age of the vines: age 10-15. Harvest: end October to November. Vinification: Traditional with maceration of the must with the skins for about 1 month. Malolactic fermentation: totally carried out. Ageing: in oak barrels part of the medium and small cut and part in stainless steel - 6 months in bottle.